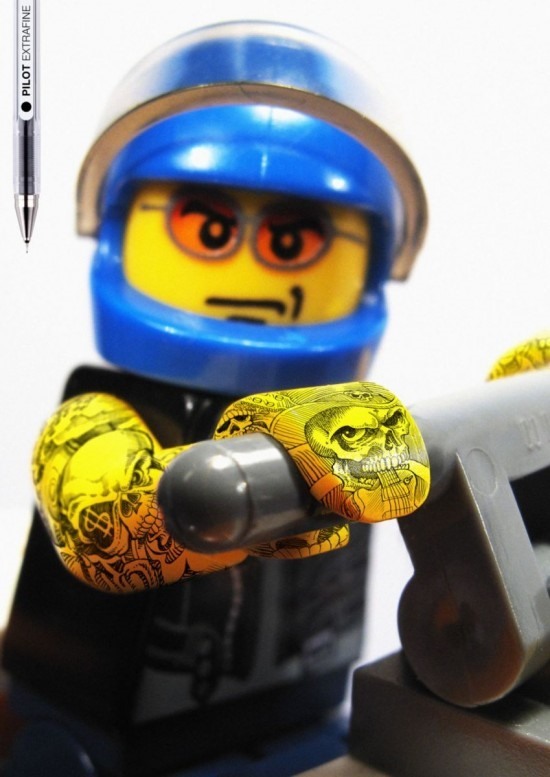 Check out this new advertising campaign for Pilot's Extra-Fine ball-pens. 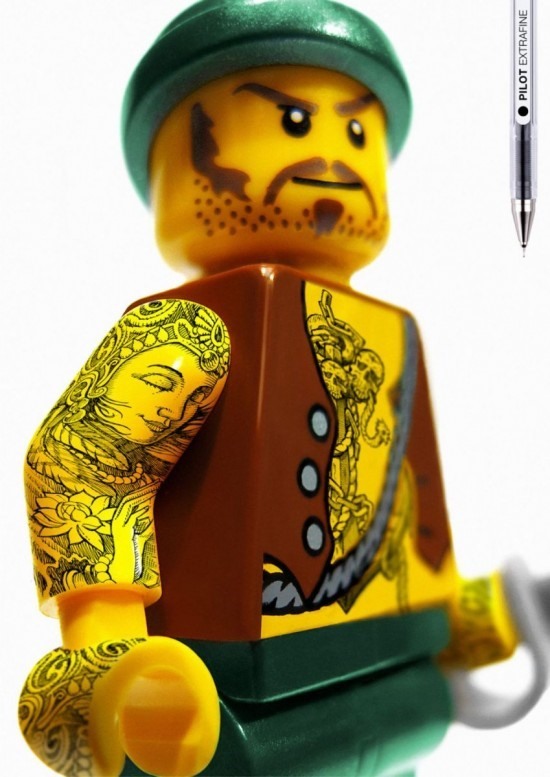 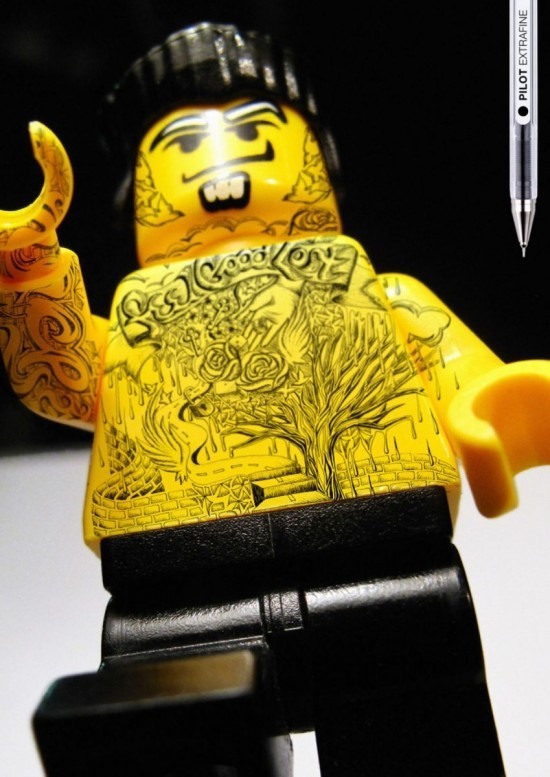 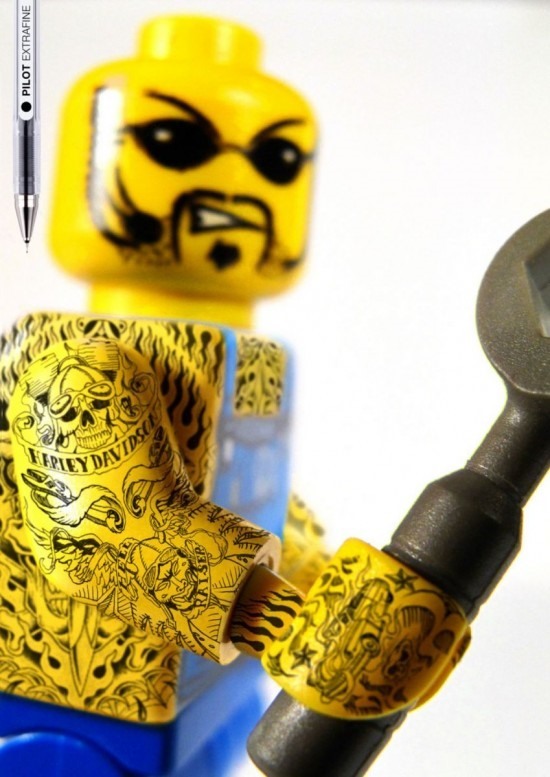 Created by Barcelona's Grey advertising agency, these hand drawn masterpieces are sure going to inspire a generation of LEGO tattoo lovers. 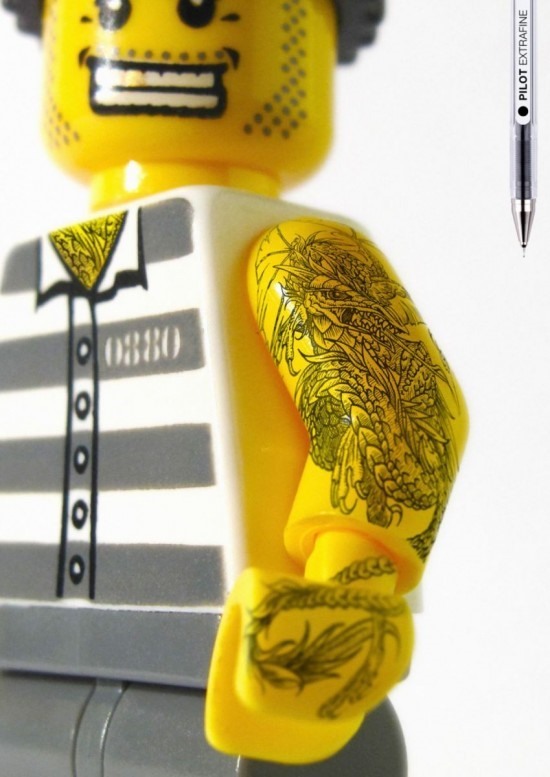 I especially love the trampy girl with the tat above the bottom. 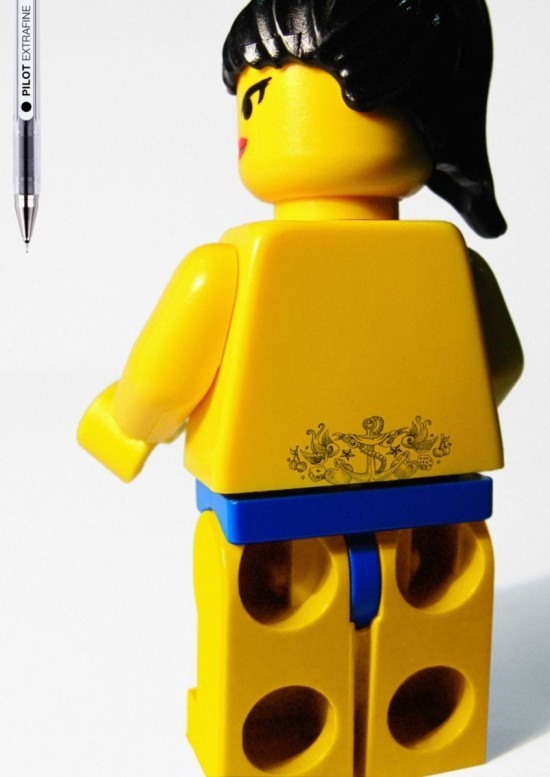 Fantastic advertising campaign, well done!